One of the funniest memories I have as a kid, is when we would play ‘what’s that crop’ on any of the drives we went on with my Dad. As a kid, I could NEVER tell crops apart in the spring, I was absolutely terrible at the game. After this year’s science fair project, I see my kids being able to play this game, with a pretty high chance of being right! We have spent this winter exploring the ways in which modern agriculture is already adopting Artificial Intelligence. While we have been learning about the amazing progress being made in image recognition and what that may look like in the future of farming (robotic field scouts, weed recognition, plant color etc. ), we have been thinking about ways to get the next generation on our farms ready and prepared with the skills that will help them to be early adopters of farming technology. So, this year when science fair came along and my son wanted to do something with the Artificial Intelligence programming I use in my high tech job it was a perfect opportunity to see if image recognition could work on the farm. This week we will share a little about how science fair led to a cool idea of how to bring farming tech to kids! For fun, below is a picture of wheat. How do you know it’s wheat? That’s all of the things we have to teach a computer to ‘know’ without the benefit of all of the ride along’s to town with my Dad! Each day people around the world are working, and sometimes fighting, to make this place we share one of mutual respect and equality. Some of those causes are global, while others take place within a single room in our home or workplace. Today is a day when we set aside time to recognize the work that has already been done, and the achievements already made. We can reflect on the current state. We can strategize about our role and our next steps in creating #BalanceforBetter. 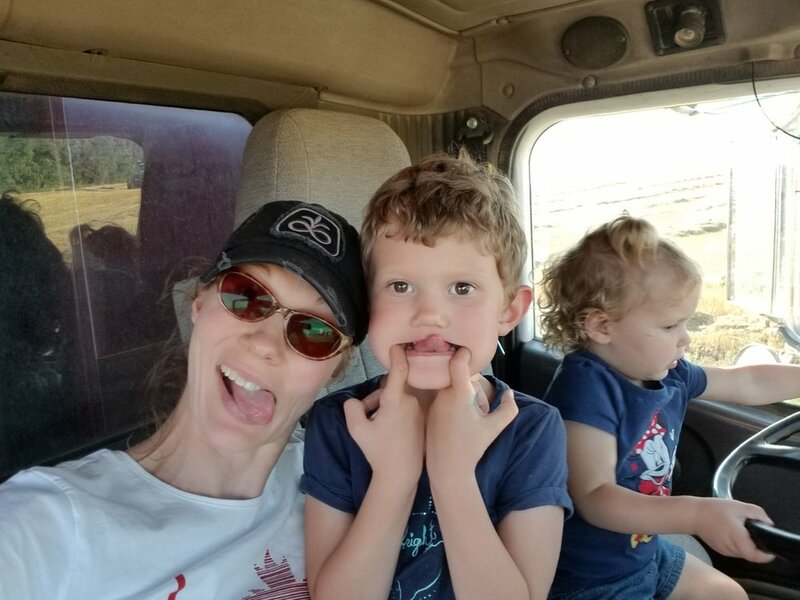 This week I posted about my goal of learning to drive a semi as a way to contribute to our farm. In no way does this mean that every FarmFemme should set that as a goal, nor is that a way by which to measure her farm contribution. The real goal is that we all get to choose how we contribute and that our choices are respected. The debate about the usefulness of mandatory training in the farming sector is an interesting, complex and nuanced one. If you have been reading this blog for any period of time you know that we are extremely committed to safety and creating a culture of safety on our farms. Having said that, many farm kids experience driving opportunities at a very young age - for instance I remember driving the quad and riding lawn mower before I reached double digits. Now, as I seek to obtain my Class 1, my whole goal is to be able to safely bring a load of grain to the elevator. I do not want to do any hauling that requires mountain driving, international driving, securing loads or maintaining a log book. The training that would meet these needs differs from that needed by a full time commercial driver. Saskatchewan and Alberta have rules in place to require Mandatory Entry Level Training; both provinces have provided some flexibility for farms, although each took differing approaches. It is important to recognize that farms face challenges in finding skilled labor and additional requirements add to these challenges. By acknowledging that a farmers’ ability to transport their goods has a ripple effect across industries and on the economy as a whole we can work with regulating bodies and training providers to make sure we are all safe without disrupting our food systems. Although my desire to complete my Class 1 licence was motivated by personal timing, I can see that the demand for formal training is high. I am scheduled into the first available time for my selected training course - July. I guess that gives me a lot of time to practice my shifting! Read below for other provincial requirements. There are currently no Class 1 training requirements in Manitoba. The government is in the process of consulting with industry in order to develop training rules or regulations. Estimates of a January 2020 implementation date have been circulating. 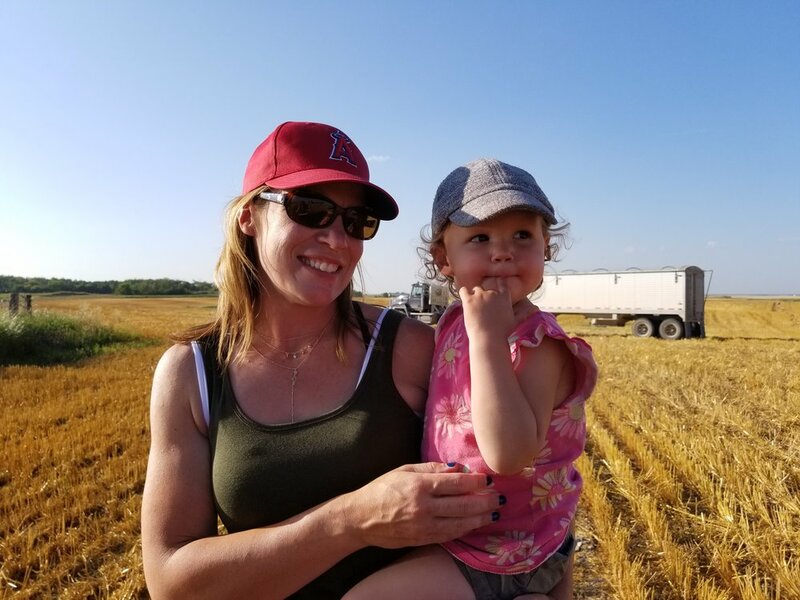 As of March 15, 2019, Saskatchewan requires a Mandatory Entry Level Training of 121.5 hours of training, however those with licences before the new rules came into effect do not have to complete the training and farmers driving within the province are exempt. As of March 1, 2019 Alberta requires a Mandatory Entry Level Training of 113 hours of training, not including air brakes. Those with a Class 1 licence prior to October 11, 2018 will not be required to take the training, while those who obtained their licence after that date will be required to participate. Farmers may apply for an exemption, which will be available on March 15th and be valid until November. Ontario requires 103.5 hours of training. This requirement came into effect July 1, 2017. So far in the journey of learning how to get a Class 1 licence in Manitoba I have learned a few things. Of course, some of them have to do with driving, but there are also some things I have learned about the process. You must book a written test for your Air Brakes and for your Class 1, each costing $10. You can complete these tests back-to-back, but you require two different access codes. You can book these appointments at any insurance office that works with Manitoba Public Insurance, but they are completed at an MPI service center. Driving quizzes are available online to help you study/practice. It makes life easier if you pick up your medical form from MPI or any insurance office and complete your medical before you pass your written tests. Request a copy of your completed medical, so you don’t have to wait until it is processed in the MPI system. This allows you to get your temporary licence printed out right after you pass your written tests. The tests are multiple choice and are completed on a computer. You have the option to skip questions one time, but they may reappear in which case you cannot skip them a second time. After you have successfully completed your medical and written tests you can being practicing behind the wheel! Requirements differ significantly from province to province. Check back in tomorrow to get an overview of the differences, and why they matter. 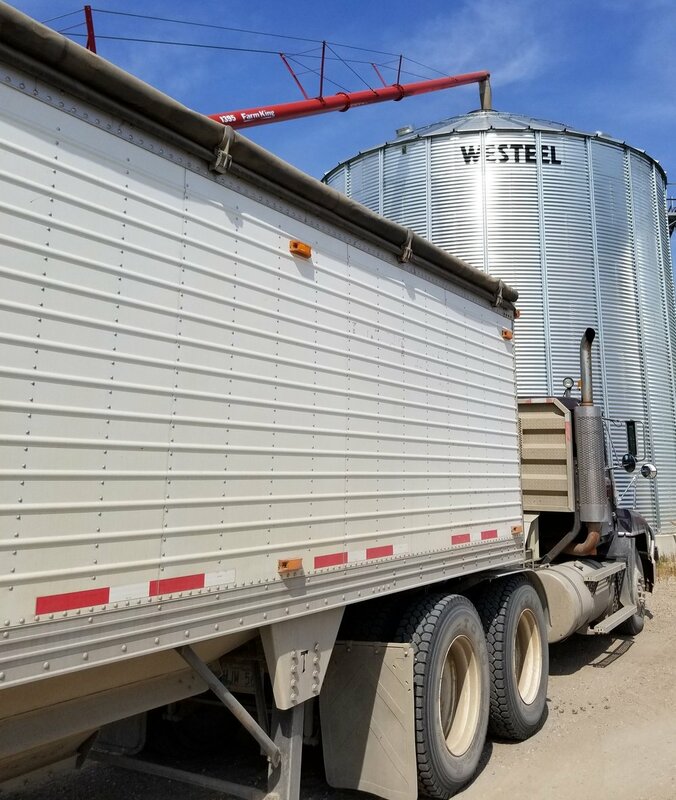 This year one of my goals is to be able to take a load of grain to the elevator. To me this represents being a tangible help to our farming operation. However, it also means that I have some serious learning to do. I have to learn how to drive our 10 speed Eaton transmission trucks OR I have to get my Class 1 licence. In the end, I actually hope to do both and to be able to drive all of the trucks on our farm. I have completed my written tests and my medical, so I have my “new licence” which allows me to legally drive with a qualified passenger. Yah! Check back tomorrow to see what I have learned so far. There are many reasons why people hold auctions. Sometimes an auction signifies a bull with awesome genetics while other times it means the end of a long and satisfying career. In contrast, auctions can also signify hard times or tough choices. Auctioneers and buyers know and respect the different types of sale environments. Farming has a huge culture built around family and the family farm. However, this culture might feel like pressure if you are looking at the end of your farming career without an obvious successor or gen-to-gen plan. In those situations, auctions might be just the right kind of local solution. Not only does an auction provide the seller with an efficient way to turn long term assets into liquid ones, it also provides the community with an opportunity to say thank you. In addition, it may be cost prohibitive for local buyers to purchase an entire operation or arm of the operation at one time. 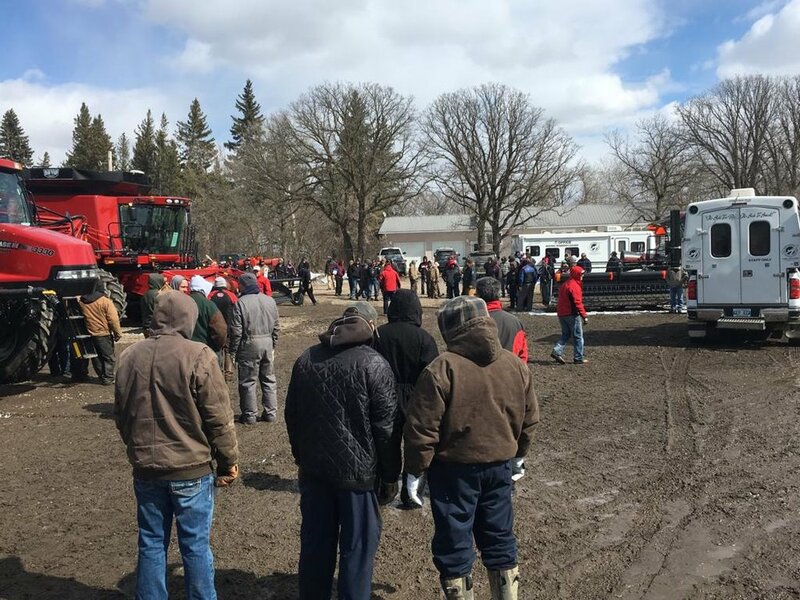 Auctions provide a way to sell smaller parts of an operation, which may be more financially accessible to a larger number of local farms or farmers. At an auction, both the seller and the buyer can support the local economy. If you have never attended a community-oriented retirement auction this might seem strange, but auctions really are a celebration of community. Of course, a retirement can feel bittersweet, but it is also an opportunity to help your neighbours round out their line of equipment, improve their cattle handling or even start a new yardsite in the country. And, for the buyers it offers an opportunity to exchange stories and tell tall-tales, particularly about a retiree. Gen-to-gen auction transitions can be a great time to show appreciation and community legacy. We are looking forward to speaking with a group of fast-talking auctioneers on Monday! Until then, wishing you a weekend full of great deals and one-of-a-kind finds. The look, and sound, of auctions has changed in recent years as more companies provide buyers with the opportunity to participate in online bidding. As an auction buyer this has changed the auction experience, in obvious, and not so obvious ways. You just can’t get the same thrill of the auction if you aren’t there live. Plain and simple. We want to attend local auctions in person because they give us a great opportunity to socialize and network with neighbours. Although we always have an eye out for a deal that is too good to pass up, the items for sale are not always the main reason we attend local auctions. Some auctions are provinces away, but have one very specific item that we are interested in purchasing. Online bidding allows us to participate in a larger number of auctions than ever before. As a buyer, we can find specialized items while saving time and money on travel. As a seller, it is great to increase your buying audience outside your immediate geographical area. Purchasing at a distance has changed the dynamics at auction sales, both in the demographics and geography of those who attend. Both in person and online auction services are valuable. We, personally, shop for different items when we are buying online, since we haven’t had the opportunity to get a close look or listen to the item. It is also somewhat easier to avoid the emotion of competitive bidding when it feels like you are bidding against the computer and not the person in the camo hat. However, it can be challenging to remind yourself to be realistic about post-sale transportation for large items or long hauls. It really is great to have the best of both auction worlds. Buyers and sellers benefit when potential markets expand. Auction purchases can be memorable because of the item, the price or the experience. Comment and tell us about your best auction purchase. I don’t know a farmer who isn’t on the lookout for a good deal, so when we got the opportunity to speak at the Manitoba Auctioneers Association Convention we were sold! As we were preparing our presentation we got talking about how integral auctions are to farming culture. Livestock, land and equipment can all be purchased at auction, so no matter what the season there is an ag auction for you. So, why are auctions so enticing? Culture - Auctions give everyone a chance to get a pulse of the ag comings-and-goings. This is like the “coffee-shop-talk” for a week, a month or even a season, all condensed into a day. The auction atmosphere provides just enough distraction and anonymity to strike up conversations with neighbours and strangers alike. Action - There is something about the energy and buzz at an auction that you can just get swept away into. Sellers count on this! The excitement of the fast pace and friendly competition of bidding gets your heart pumping. Curiosity - You never know what you will find! Even if you have checked the listings, done your research and looked at all of the photos, you just might find a hidden treasure or a deal that is too good to pass up. Endorphins are flowing at auctions! Check out the Manitoba Auctioneers Association to learn more about how auctions work, find buyer tips, check the auction schedule or become a member. If you have ever wanted to be an auctioneer, check out the Auctioneering College of Canada. Share your food pics tomorrow and call out your Canadian Ag products!